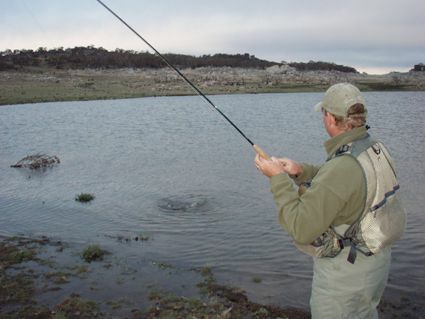 Headlines: Reports have been great from Eucumbene with both bank and boat anglers starting to have some excellent fishing. The Lake continues to rise and the fly fishing has been great. 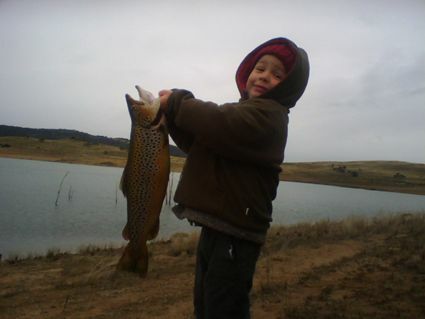 Rivers:- Mountain streams are fishing very well though the levels have been a little high and cool from the snow melt of a couple of weeks ago. 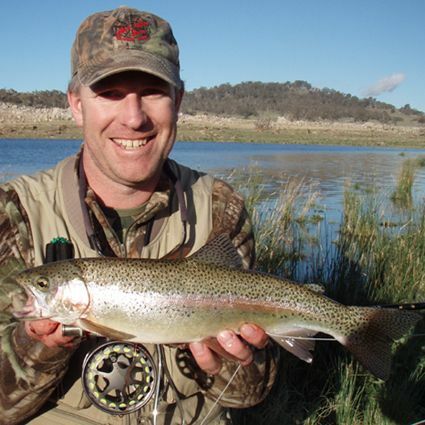 Some good fishing in the Eucumbene river has occured with nymphs being the most succesful. 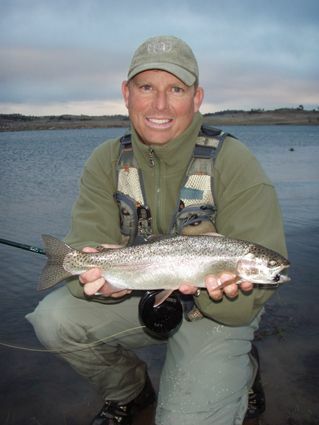 Dry fly fishing has been a little slower but with a few warm days the hatches will start again and more fish will move on the top. There have been some Kosciuszko Dun hatches recently too. *Kesh Gill had a magic session on the Euc river last week and landed and released a whopping 65cm rainbow and a few browns. Beadhead nymphs were the flies used. Pretty much any beadhead nymph will work in the river at present and fished under a larger dry will be the best option. Lake Eucumbene:- The lake is offically firing. It has taken a while but it has come on well in the last ten days. 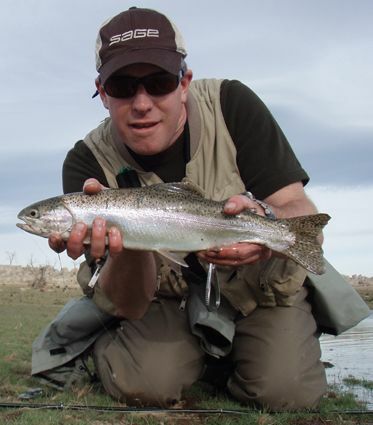 We have had plenty of reports of great fishing around the edges both during the day and evenings. Midges and Caddis have been the main insects hatching but there all sorts of food being taken by the fish. Snails, corixa, damsels, beetles, mudeyes have all been on the menu. Several anglers have reported midges balling and fish on them too. You need to find the areas where the fish are working. They are not everywhere. Shallower weedy, grassy soaks have been the best areas. Weather conditions play a big part and evenings with less wind will see more midges balling. *Matt Daniel and Dan Dalpiva had a good session on the weekend catching some nice rainbows during the late afternoon and evening. Small wets and caddis nymphs produced the goods early with a Muddler Minnow after dark working well also. Dan pictured below. *Had three arvos sessions myself in the last six days. Managed to land nine fish plus a couple missed and dropped. Five were rainbows and four browns. Midge pupa, Stick Caddis, Midge balls and Scruffys were the fish takers. *Mark and Neil Barnes from Lismore came out to the lake and were greeted with thirty knots of Westerly wind. 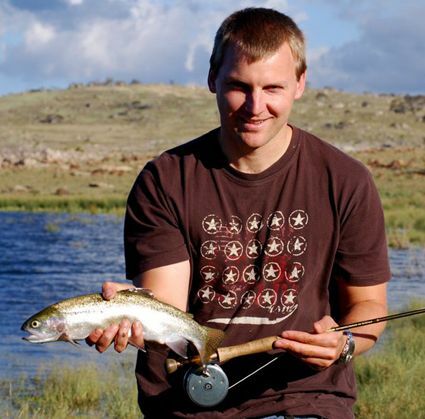 Finding a sheltered bay, Mark landed this nice rainbow on a beadhead wooly bugger. Tough conditions but a nice fish. My name is Amanda. my partner Steve and I were in your shop a few weeks ago with our 5 year old son Kalob Bellamy. 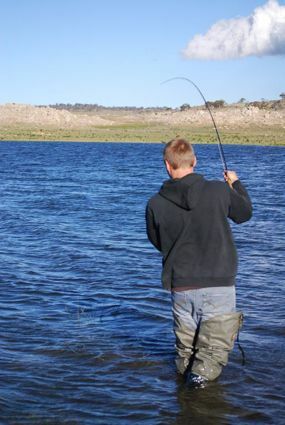 I have attached a photo of the fish which he caught at creel bay on Lake Jindabyne. We were very surprised as he put the bait on and cast it out himself. It was caught on powerbait in the afternoon back in September.